Swedish forward is third player on Sioux City roster committed to Friars. The Sioux City Musketeers have yet to play a home game this year, but that hasn’t stopped college scouts from getting their eyes on the team. 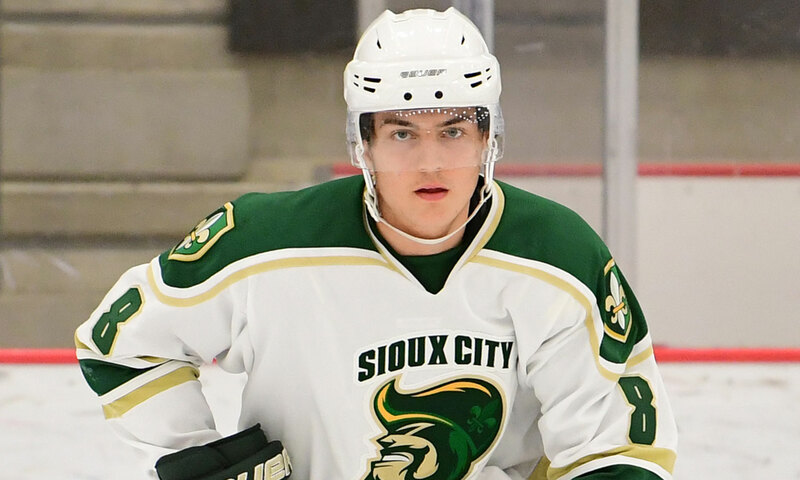 On Thursday morning, Sioux City forward Albin Nilsson committed to Providence College, joining teammates Parker Ford and Luke Johnson as Musketeers that are committed to the Friars. “I’m really proud of him and the process he went through to make his decision. Providence is getting a big-time player and person,” said Sioux City head coach Luke Strand, who is excited for Nilsson and knows the Friars are lucky to have him. Through four games this season Nilsson has one assist and has played a major role down the middle for the Musketeers. In his last game against Cedar Rapids, Nilsson centered the second line with fellow Friar Ford to his right, and the two looked as though they could turn into a deadly combo before long.